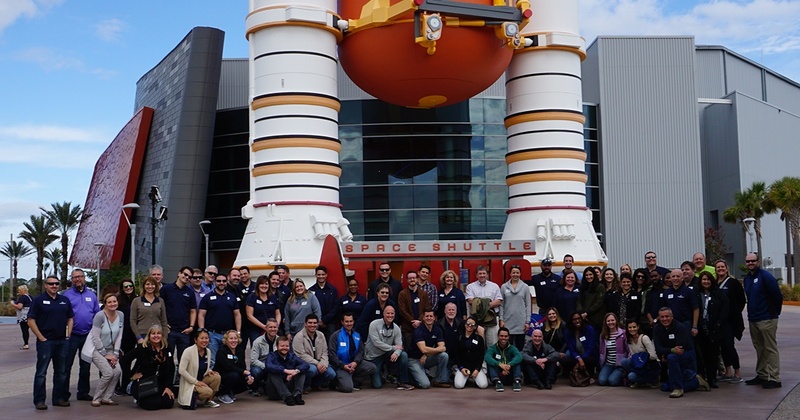 It was a picture-perfect day for Leadership Orlando Class 94 to explore Brevard County’s sea and space ports. Canaveral Port Authority Chairman Wayne Justice, Rear Admiral, U.S. Coast Guard (ret), delivered a briefing on Port Canaveral and the economic impact that the port has on Brevard County and the region. The briefing, held inside the beautiful Exploration Tower at Port Canaveral, provided details from the port’s Master Plan which includes a “spaceport” for companies such as SpaceX and Blue Origin to use the port to recover rocket boosters launched from Cape Canaveral. 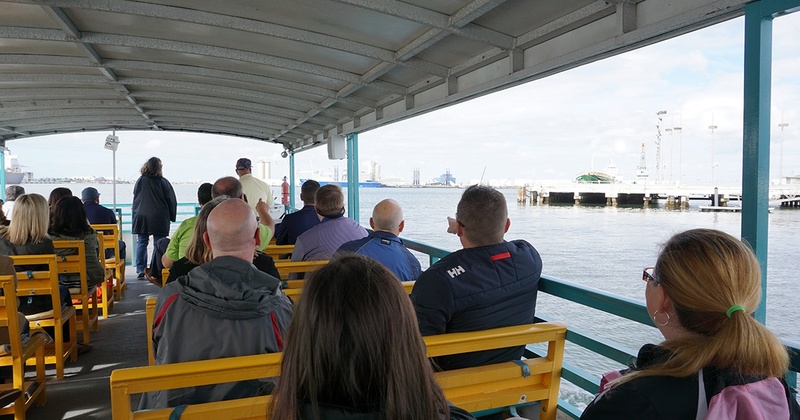 A harbor boat tour gave a close-up look at the plans and expansions discussed during the morning’s briefing. The afternoon was filled with spaceport briefings and updates by Leadership Orlando Class 87 alum Tom Engler, Director, Center Planning and Development Directorate, NASA – John F. Kennedy Space Center, followed by VIP Tours of the facility. If you’d like to participate in Leadership Orlando, now is the perfect time to be a part of America’s largest community leadership program. Leadership Orlando Class 95 will begin in March 2018 with Reginald B. Riley, Ph.D., Corporate Manager of Community Relations, External Affairs & Community Relations, Orlando Health, serving as class chair. The online enrollment form and full schedule are available at www.LeadershipOrlando.org. The enrollment deadline is Friday, February 16th.